I’m so inspired by the bulimia help exercises I’ve learned from Maira Holzmann, the eating disorder therapist and coach who’s helping me co-facilitate my Spiritual Warrior Mentoring program this month. The grounding techniques she’s shared for how to stop a binge in the moment you feel out of control are powerful. The women in my recovery mentoring program are reporting lots of benefit from using them each week. I personally didn’t use grounding techniques in the early days of my bulimia recovery program, but I think they’re fabulous and am using them now! 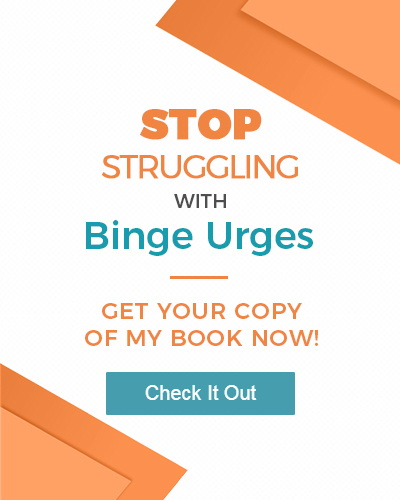 I’m working on a new ebook about how to stop a binge that will be out next month that will include a lot of them in one place, but I also came upon an article that describes what ground techniques are and the benefits. I want to share a couple of short videos to help you begin to understand what grounding techniques are and one or two of them to get you started. Hope these help you with your next urge to binge. This first video is about being mindful and aware first and foremost and how grounding techniques can help us when we feel the out of control urge to binge. In this next video there are a few simple grounding exercises shared to help you come back into your body and get grounded with you feel stressed, anxious or upset about something and just want to run and binge. Remember these next time and do them instead of binging! If you have any grounding exercises you use to help you stop that urge to binge, please share them below. I’ll keep looking for more exercises and will share them as I come upon them.